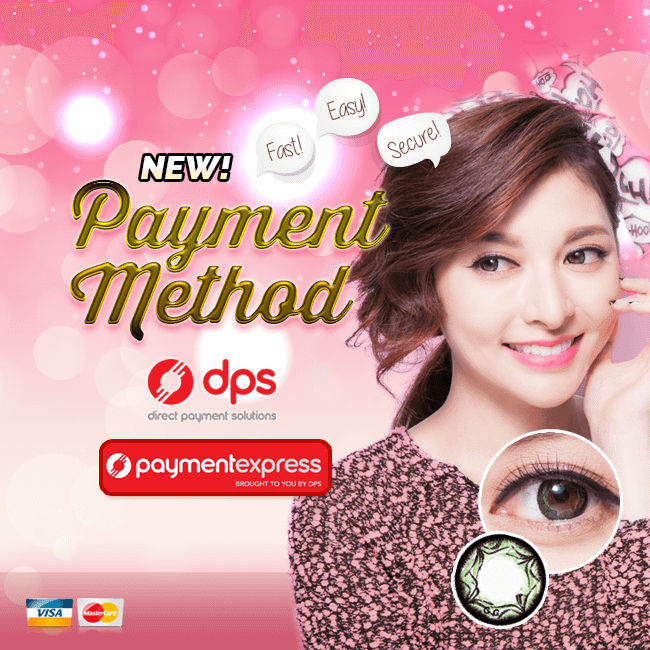 We are glad to inform you all that we will be having a new payment method, the DPS Payment Express and it's available to be use with immediate effect. The previous payment method – Skrill was just a temporary payment gateway as we are finding solution to it. This new payment method is perfectly secured state of the art, bank grade security and infrastructure, and are fully certified as Visa AIS and MasterCard SDP (PCI DSS) compliant at processor level and is specially designed for payments processing. If you are unsure on how does this works, you can check out our new payment guide here . We hope that this will solve all our difficulties for the past month, and everyone would be able to get their lenses again from us. We fully appreciate everyone patience during the period of inconvenience. Thank you for supporting PinkyParadise!